The need for deep-down carpet cleaning services is unavoidable. Sure, you can help to maintain the cleanliness and vitality of your carpet by vacuuming regularly and removing your shoes when walking on the carpet. 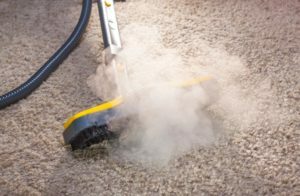 But to combat allergens, prevent the visible wear patterns known as carpet traffic lanes and extend the life of your carpet, you should get it professionally steam cleaned no less than three times a year. Professional carpet cleaning services can remove deeply lodged dirt, pollen, pet dander and dust particles that vacuuming alone cannot. Don’t wait for obvious traffic lanes or asthma attacks before getting a carpet cleaning. Killeen, Texas is home to the best Bell County carpet cleaners around. Bluesteem’s Killeen carpet cleaning services were designed to rid any type of carpet of dirt and grime in the most cost-efficient way possible. Our special equipment and preferred cleaning solution will get your floor looking new again in no time and at a great value. Bluesteem carpet cleaning services, when regularly used, can extend the replacement time of your carpets by up to 10 years! Special services, like Scotchgard Carpet protector or pet odor enzyme treatments, are also available. As Killeen’s leading carpet cleaners, we care about your home and your family. That’s why we work so hard to remove dirt and allergens, so your home can be its cleanest and healthiest year-round. For the most effective and affordable Bell County carpet cleaning service available, choose Bluesteem.